Ketones are the organic compounds in which carbonyl group is attached to two alkyl group or aryl group or both alkyl and aryl group. Acyl chloride on treatment with dialkyl cadmium (prepared by reaction of cadmium chloride with Grignard reagent) gives ketone. Nitriles on treatment with Grignard reagent followed by hydrolysis give ketones. 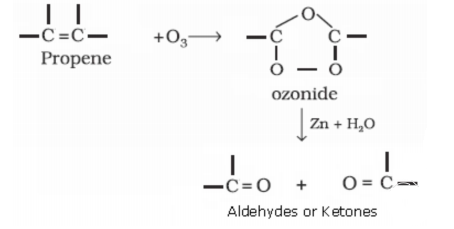 Benzene or substituted benzene on treatment with acid chloride in presence of anhydrous aluminium chloride forms ketone.